Anjali, one of the very few Telugu speaking actresses who made it big in Telugu and Tamil film industries, is currently busy with a handful of projects both in Telugu and Tamil. From the past few days there were certain reports that the actress will soon be introducing her cousin sister, Aardhya, to Telugu film industry. 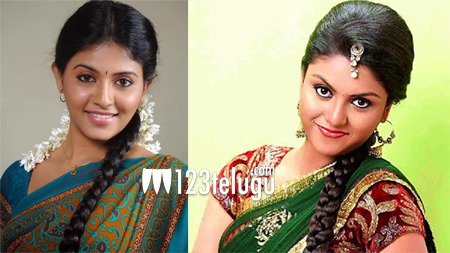 Denying all these reports, Anjali revealed that her sister is happily married and has no plans of entering Tollywood. Anjali is currently busy shooting for some of her upcoming projects.